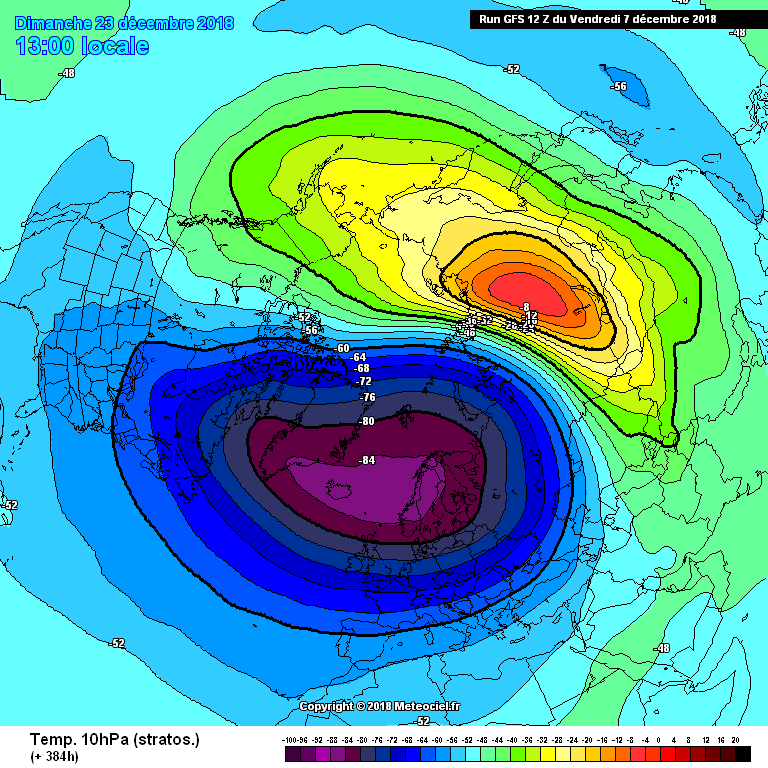 Another GFS run suggesting quite a significant warming in the stratosphere. Been a good few runs now. Let's see this theme staying consistent and get to the "more reliable" end of FI. Some other runs from today. The warming starts at day 12, this chart is from day 16 though. 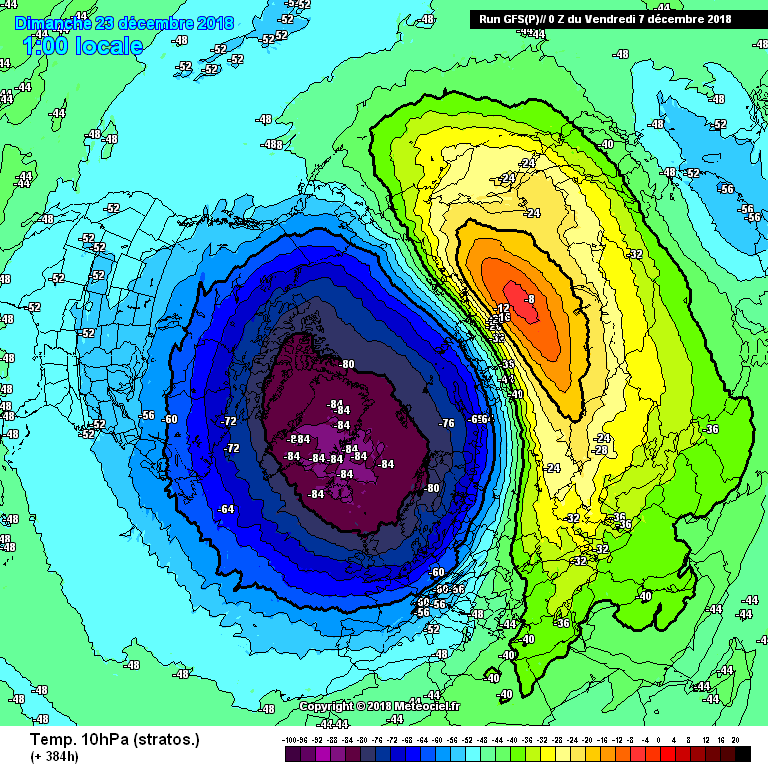 This is the first time the FV3 has shown a stratosphere warming anywhere close to what the operational has shown. It's always been intense heating on the operational and a huge downgrade on the FV3. I'd say this is a massive development, FI or not. Both the operational and parallel GFS 0z and 06z continue to show this significant strat warming just before Christmas (it has not backtracked to Christmas Eve, it remains on December 22nd/23rd), whether it's a SSW is yet to be revealed. Nevertheless, a significant warming as such will put a ton of pressure on the Polar Vortex and a big increase in the chance of northern blocking sometime towards the New Year. 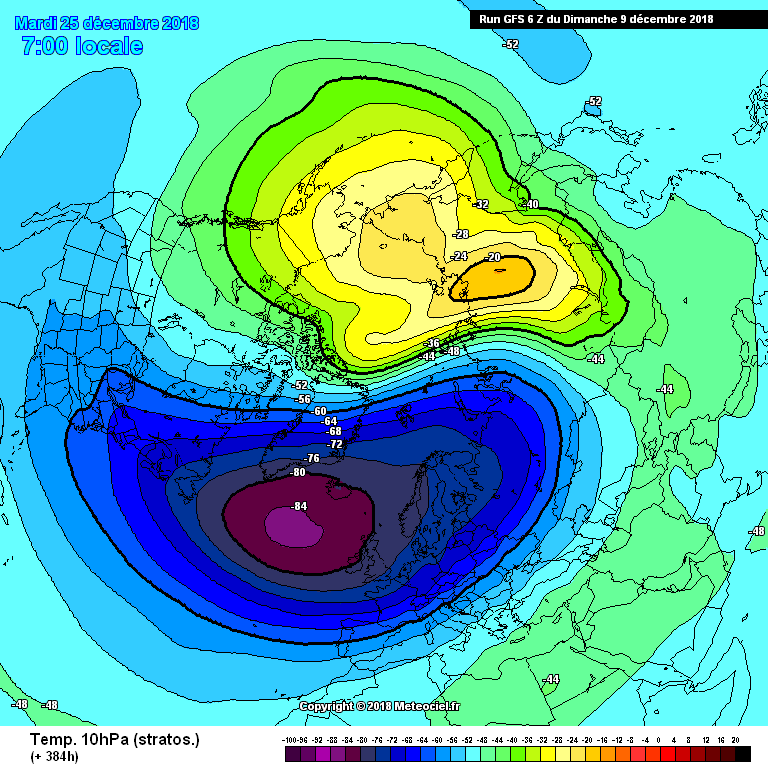 This is when the warming peaks on the GFS 6z. It cools down at the end to -20c though (still pretty warm). 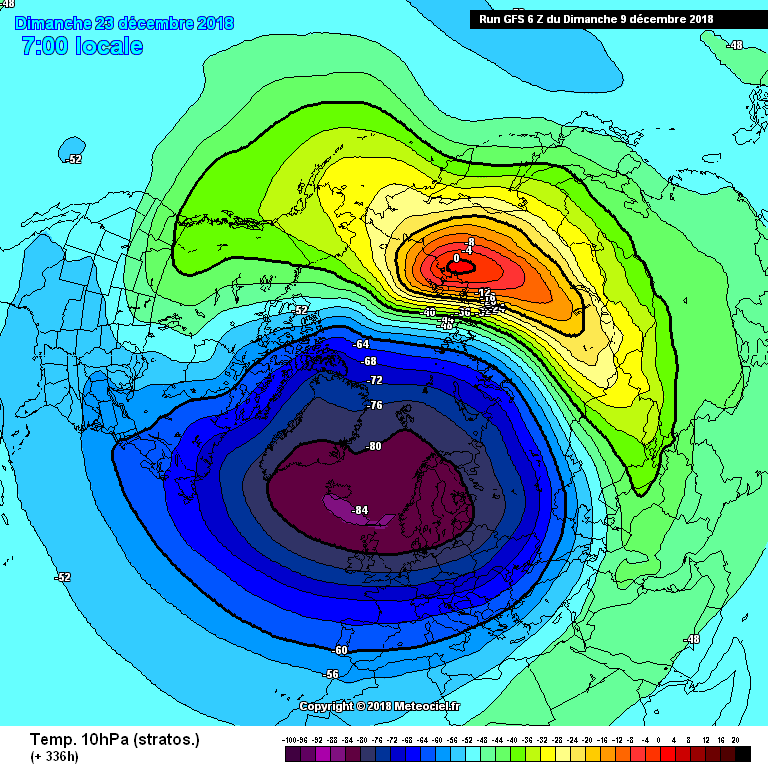 Pretty warm is quite an understatement (remember the strat temps at 10hPa at this time of year should be around -70 to -75c) especially as the warm strat temps are infiltrating into the pole - this is what we want to see. 3-4 more days until the warming period comes into view on the ECM then we can start to see if the model agrees with the GFS and if the zonal winds will reverse on the model too. No reversal signal on the GEFS..... yet. 00z GFS(P) has it getting very toasty in the Strat, up to +8c. Last edited by BLIZZARD7; 11-12-2018 at 09:29. 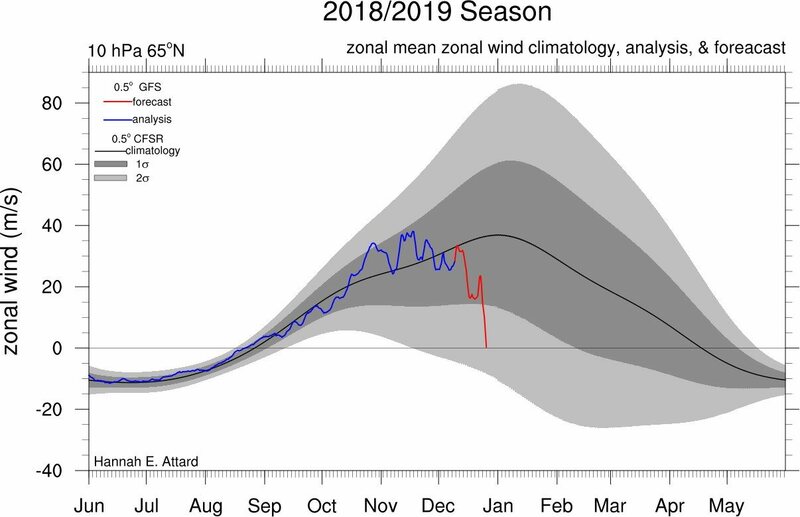 Here's a GIF of the zonal wind speeds of previous Winters in the satellite era which contained either at least one notably cold month, a notably cold spell or a notably snowy spell. See how some of them do not have a SSW event at all or even get the zonal winds to very weak levels, most notably Winter 1985-86.